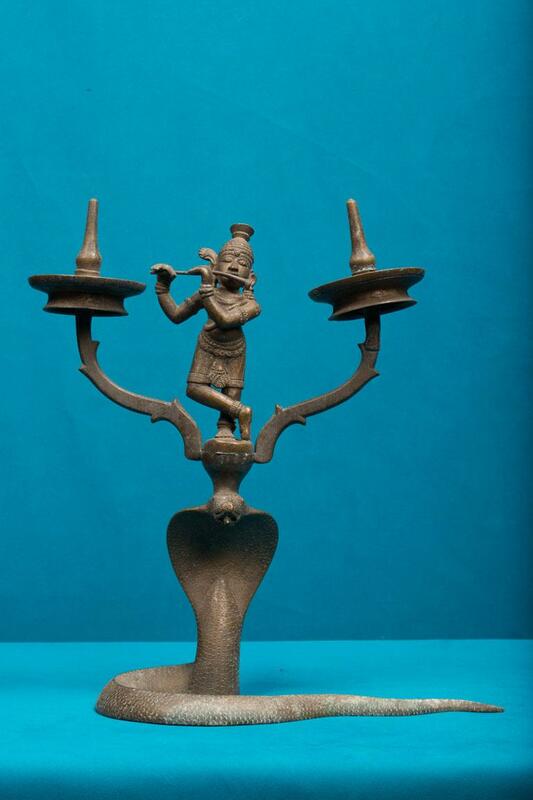 Kaliya Mardhana Lamp is purely an exquisite piece of art. Kaliya Mardhana is an episode from Mahabharata that pictures Lord Krishna’s dance on the multi-hooded snake Kaliya. This oil lamp has a serpent at the bottom and two branches that originate from the serpent hood. The dancing Krishna stands in the centre of the lamp above the serpent with a flute. The height of this lamp is 34.5 cm.